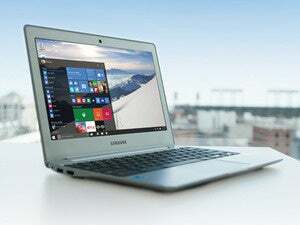 Microsoft had a working feature that let you see and respond to text messages on your PC inside the Messaging app. Now it's killed that feature to bring it to Skype. 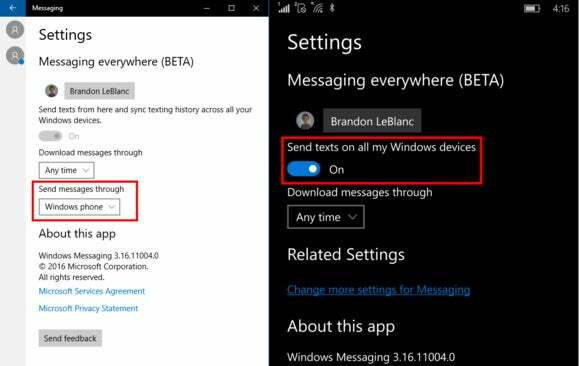 The ability to respond to text messages received on your phone with the same app on your PC. 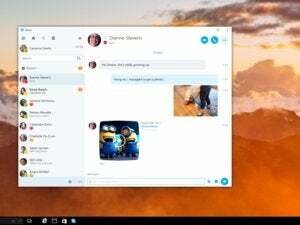 It’s a dream that’s been a reality for Mac users since 2014, and Windows 10 Mobile users were supposed to get the feature, called Messaging Everywhere, with the Anniversary Update rolling out August 2. Instead, Microsoft thinks it has a better idea: add Messaging Everywhere to an upcoming version of Skype for Windows 10 PCs. Microsoft let the news slip in a blog post announcing this week’s latest Insider builds. The new builds are largely bug fixes as we get closer to the official release date. Fast ring users are now on build 14376 on PC and mobile, while slow ring users on PC and mobile moved to build 14372. As of build 14376, Messaging Everywhere is no longer a part of Windows 10 Insider builds. “We have been testing with Windows Insiders a preview of the Messaging Everywhere feature...The experience was well-received by Insiders however we believe we can deliver an even better experience through the Skype app,” Microsoft said in its blog post announcing the change. To sum up: Microsoft is dropping an anticipated feature that the company says was working great in favor of adding it to Skype. Skype. A service that countless individuals have described as being in various states of brokenness for, well, a long time. 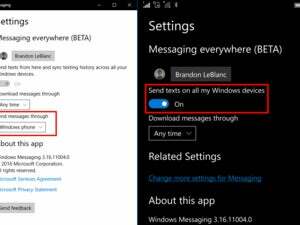 The funny thing is, right now you can integrate SMS messages with Skype on Windows 10 Mobile. Doing that is a terrible, terrible idea, however, because it turns your life into a nightmare of pop-up notifications and unread message counts across several apps. If Microsoft can’t get Skype-SMS integration to work properly on phones I do not have high hopes for it as a cross-device experience. The impact on you: Perhaps this means Microsoft plans to follow Google’s lead with Hangouts on Android. Instead of a separate messaging app for Windows 10 phones, PCs, and tablets, SMS messages will appear on the Skype app across all devices. It would certainly make notifications less messy since there would be only one app, and it would simplify the various messaging options available on Windows 10 Mobile. Perhaps Microsoft also hopes to offer Skype on Android as an alternative SMS app to Hangouts, similar to what Facebook Messenger does. That is all just speculation, however. Microsoft might be able to make Messaging Everywhere on Skype a fantastic experience, but I’m skeptical given how terrible the integrated service already is on mobile. The good news is the end of Messaging Everywhere will not affect Cortana’s SMS integration that lets you send and receive text messages from your PC.